July is drawing to a close. The 200th day of the year is fast approaching. And the last lilies are blooming. 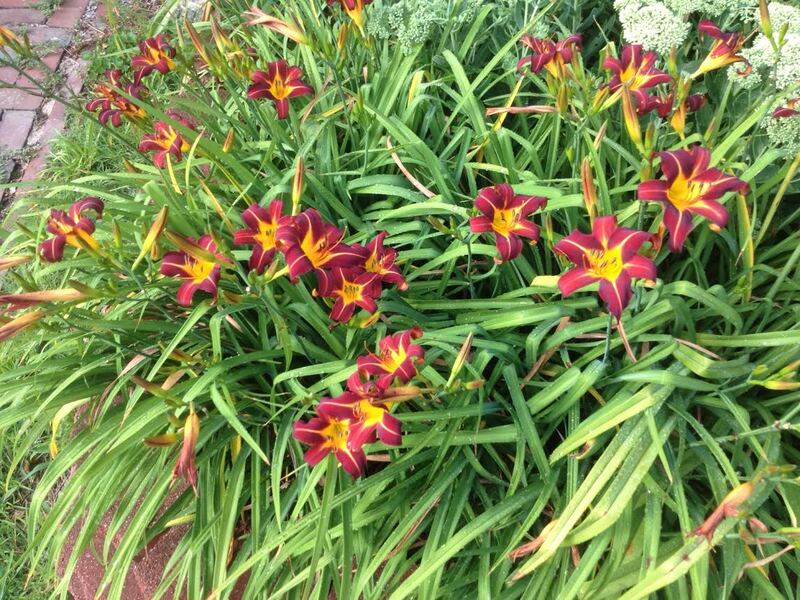 These shorter, darker, day lilies always bloom late in summer. Just when I think they aren’t going to bloom at all, their stalks shoot up and the blooms open. These are located in the front bed along the driveway. I have plans to rework this bed come October, so these lilies will be divided and the majority of them will get a new home along the new pathway I showed you a few days ago.